So this post, originally published at US News and World Report a few years ago, will be the last of this recent sled of in defence and support of home cooking. Once upon a time, not so long ago, people ate out for a reason. Maybe it was in celebration of an anniversary, a birthday or a promotion. Maybe it was out of necessity to seal the deal with an important prospective client. Or maybe it was the understandable consequence of travel. But one thing's for sure — we didn't used to eat out simply because we could. Eating out was special. Growing up in the 1970s, meals out were exceedingly rare for my family. Aside from our every-other-year family vacations, I'd bet we only ate out once every few months or so — and almost always to mark an occasion. I don't think we were atypical in how we spent money on food back then; as a society, the 1970s saw roughly 30 percent of our food dollars spent on food prepared outside of the home. Today North American society is over 50 percent. Working in my office, I'd venture my average patient is eating out three to four times a week. And yet, it's not laziness that drives their frequent meals out. Regular meals out are simply North America's new normal. And it's a new normal that I think is a huge player in our collectively poor health. While there is no one singular cause for our societal struggle with diet and weight-related conditions, one of the primary drivers is our unbelievably frequent use of restaurants, cafeterias and take-out food. Sometimes we justify these choices because there's a "low-fat", or "low-carb", option or something that sounds safe and healthful, and sometimes we convince ourselves it's due to a lack of time — that we honestly don't have the five or so minutes it would take each morning to brown-bag a lunch. But I'd bet that most of the time we don't even think about whether we should or shouldn't be eating out. And we don't think about it, because the regular use of restaurants, or of supermarket take-out, or of nuking a box or assembling a jar of this with a box of that and calling it cooking, is just what we all do. And generally people don't question conventions that simply reflect regular behaviour. I'd go further and say that families are often looked at with scorn when the vast majority of their meals are transformed from minimally processed and fresh whole ingredients. The "normal" of convenience has people seeing the cooking family as having an "obsession" with health or nutrition beyond what "normal" people consider to be healthy. At the end of each day, we're all consumers of the exact same amount of time. While no doubt, there are those who have far tougher lives than others, and some work far longer hours, there was a time when each and every last family out there, regardless of how rough their circumstances, was obligated to find the time to prioritize cooking as part of day-to-day requirements, because there simply was no alternative. And while there are definitely people whose life circumstances truly make regular cooking an impossible and unreasonable goal, there are definitely others who have been convinced, or have convinced themselves, that it's not doable. Now I'm not trying to romanticize the foods we all once cooked. I'm certain many a meal from those days would have turned many a dietitian white with horror. But I'd argue that the simple act of cooking — a health-preserving life skill — is a skill that risks extinction. In some families, regular home cooking is a phenomenon not seen for three generations. My guess is that even the worst home-cooked-from-fresh-whole-ingredients meals from back then were likely to be lower in calories, sodium, and sugar than many healthy-sounding restaurant choices today. More importantly, those meals were far more likely to involve shared meal preparation and cleanup along with their consumption as a family ritual, around a table free from today's drone of kitchen-based TV sets and the pings and beeps of emails, tweets and Facebook updates from our electronic leashes. So what have we prioritized in cooking's place? 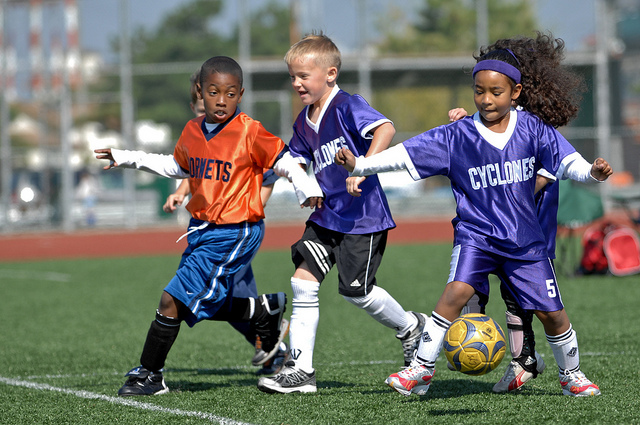 Kids' organized sports? Longer work hours? Our favourite TV shows? Text messaging? Social media? Boiling it down to its essence, ultimately what we've prioritized as more important than cooking is convenience. Moreover, we go out of our way to convince ourselves (as does the food industry) that convenience can still confer health, that those boxes that claim they contain healthy nutrients and those menu items that include vegetables are in fact good for us. But looking around us — and given the urgency of the problem and the never-ending call to arms to fix it — it sure doesn't seem as though convenience is doing a very good job. The inconvenient truth of health is that healthy living does require effort. There are no shortcuts. And if you're looking for the one thing you can do that would most dramatically improve your or your family's health, my money would be on you prioritizing the regular, uninterrupted use of your kitchen. Prioritize it at the expense of your electronic tethers and, yes, even at the expense of your children's after-school sports, as teaching your children the life skill of cooking trumps their need to learn how to play soccer - and if you have time in your life for that, you definitely have time in your life for this. And please don't misread this as if I'm suggesting that change need be absolute or all at once. Maybe commit to cooking one additional meal a week, and it certainly need not be complex. The goal is to cultivate love affairs with our kitchens, but that doesn't mean you'll be madly in love from day one, and while I don't think we should stop taking advantage of the miraculous times that we live in and should still enjoy and savour some wonderful meals out, we should be aiming at making eating out special again — a rare and exciting treat. In other words, aim to eat out for occasions, and not just because it's Tuesday.